Sport Fish Panama Island Lodge is an all-inclusive fishing getaway boasting access to a variety of colorful fish year-round. Located on Isla Parida, Sport Fish Panama is closer to the offshore fishing action than any other fishing lodge, making it a prime destination for those who want to maximize their fishing time. Shane Jarvis, owner and captain, is committed to providing an exotic and one-of-a-kind experience to fishing enthusiasts from around the world. “We are in a prime location to be able to offer incredible fishing outcomes, making each outing less about how many fish our visitors catch and more about having a good time,” said Shane Jarvis. Jarvis opened the lodge in 2005 and considers it the perfect fishing destination for anglers who want to fish Panama’s abundant waters in style. The lodge is located on a private island 12 miles into the Pacific Ocean and boasts excellent inshore fishing right at its doorstep. Guests can enjoy private lodging as well as meals made from local ingredients and cooked by a first-rate personal chef. Jarvis and his crew of fishing experts personalize each excursion to their guests’ wishes. They cater their bait, gear, tackle and fishing methods to the fish species their guests want to catch. Past guests have had great successes with big catches and they’ve snapped the photos to prove it. Visitors who would prefer a day trip over a longer stay can do a Sport Fish Panama day charter out of Boca Chica. Sport Fish Panama is committed to sustainable use and conservation of the fishery and natural resources. The company follows all Panama laws requiring certain types of fish to be released to maintain and preserve the local fish populations. 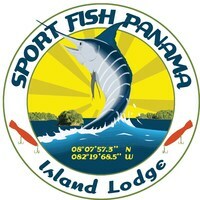 Sport Fish Panama Island Lodge (SFPIL) is a family-owned and operated fishing lodge like no other in the country. It offers a private island experience for their clients looking to catch over 20 gamefish species in a truly unique setting. Fueled by passionate fishing experts, SFPIL aims to give their clients the best experience possible while fishing in Panama by hosting only one group at a time.